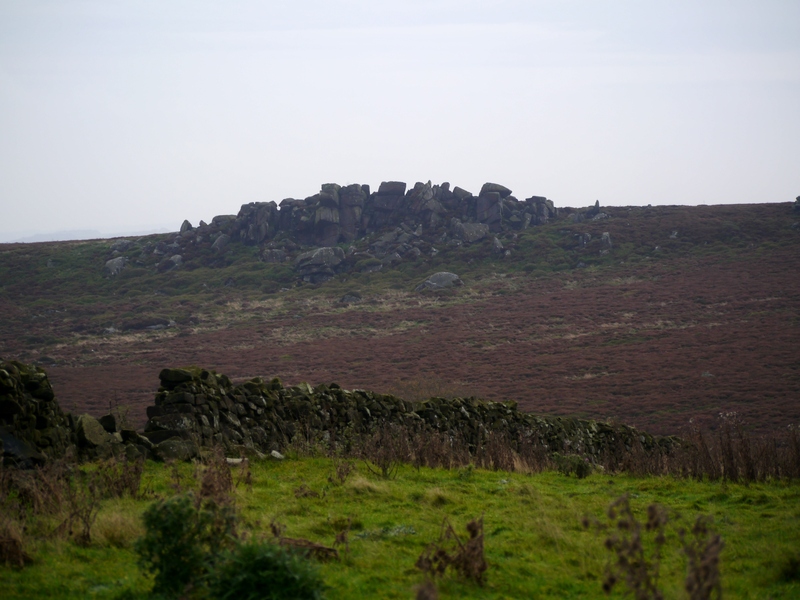 Brandrith Crags is the collective name given to a line of impressive gritstone crags on Hall Moor above the Washburn valley. Brandrith Crags first came to my attention late one summer’s evening in 2013 as I made my way down from Rocking Moor. 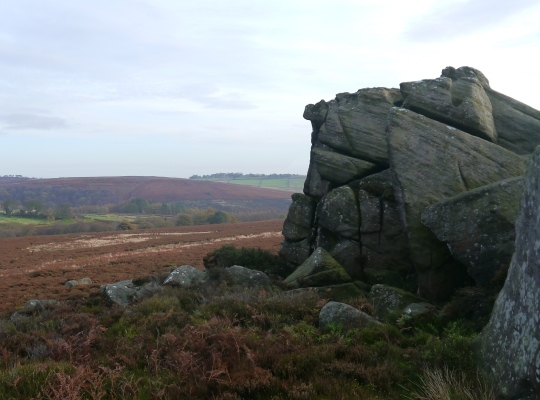 Looking south across Redshaw Gill I noticed a couple of large crags standing prominently on Hall moor. So it was that a few weeks later I set out on another evening after work to check them out. I was so impressed that I subsequently went back in November 2014. There are three main outcrops with the two outer ones being the most impressive and which offer great opportunities for a bit of casual scrambling. 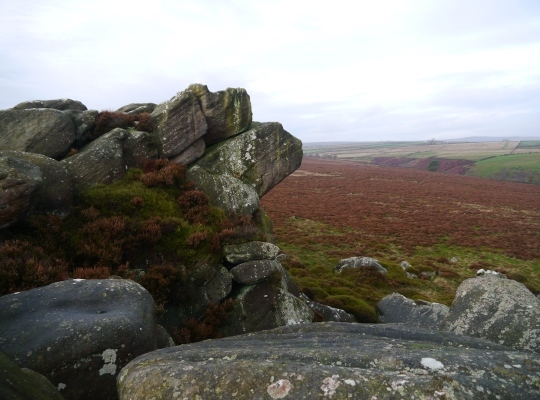 Whilst the OS map records a ‘Rocking Stone’ none of the rocks I saw seemed to obviously fit the description so I was unable to identify which one it was. While there are a few thin trods across Hall Moor the going underfoot is quite rough so if you want to visit these crags it will require a bit of heather bashing. That said they are fairly easy to access either from Nethernooks Bridge on Hall Lane, or from Kex Gill Road to the west. 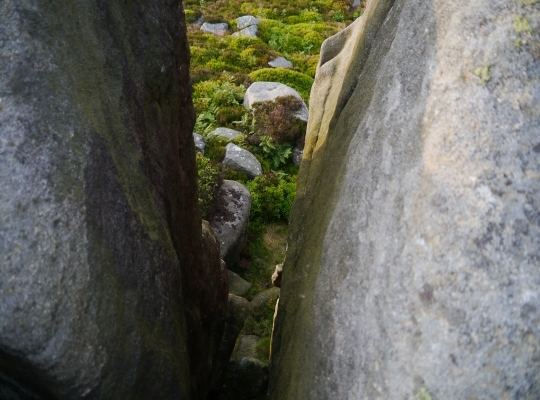 As with a lot of gritstone crags in the region the Brandrith Crags are more likely to be visited by climbers than walkers. Indeed the UK Climbing website lists no than fewer than 80 routes across the various sections of the crag.